This page represents a legal document and is the Terms and Conditions (“T&C”) for our website, www.buildingresilient.com (“Website”). By using our Website, you agree to fully comply with and be bound by these T&C each time you use our Website. Please review the following terms carefully. 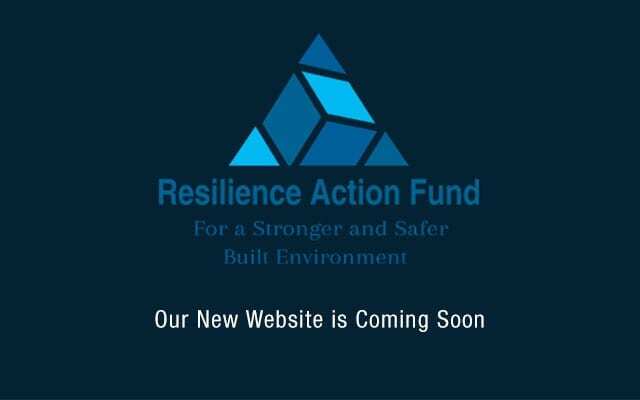 The terms “us” or “we” or “our” refers to Resilience Action Fund and Resilience Action Fund (International) (collectively referred to as “RAF”), the owner of this Website. The term “User” is a collective identifier that refers anyone who visits, or in any way uses this Website. All text, information, graphics, design, and data offered through our Website, whether produced by others, or us are collectively known as our “Content”. These T&C are agreed between you and RAF. THESE T&C CONTAIN WARRANTY DISCLAIMERS AND OTHER PROVISIONS THAT LIMITS OUR LIABILITY TO YOU. PLEASE READ THESE T&C CAREFULLY AND IN THEIR ENTIRETY, AS USING, ACCESSING AND/OR BROWSING OUR WEBSITE CONSTITUTES ACCEPTANCE OF THESE T&C. IF YOU DO NOT AGREE TO BE BOUND TO EACH AND EVERY TERM AND CONDITION SET FORTH HEREIN, PLEASE EXIT OUR WEBSITE IMMEDIATELY AND DO NOT USE, ACCESS AND/OR BROWSE IT FURTHER. Except as otherwise noted, these T&C constitute the entire and only agreement between you and RAF, and supersedes all other agreements, representations, warranties and understandings with respect to our Website and the subject matter contained herein. We may amend these T&C at any time without specific notice to you. The latest T&C will be posted on our Website, and you should review these T&C prior to using our Website. After any revisions to this T&C are posted, you agree to be bound to any changes. Therefore, it is important for you to visit this page periodically to review these T&C. Please read these T&C carefully and save it. If you do not accept this, do not access and use our Website. If you have already accessed our Website and do not accept these T&C, you should immediately discontinue use of our Website. RAF grants you a non-exclusive, non-transferable, revocable license to access and use our Website strictly in accordance with these T&C. Your use of our Website is solely for internal, personal, non-commercial purposes, unless otherwise provided in these T&C. No print out or electronic version of any part of our Website may be used by you in any litigation or arbitration matter whatsoever under any circumstances. You agree to comply with all applicable domestic and international laws, statutes, ordinances and regulations regarding your use of our Website and Content. These T&C in no way creates any agency, partnership, joint venture, employee- employer or franchisor-franchisee relationship between you and RAF. Our Website may contain our service marks or trademarks as well as those of our affiliates or partners, in the form of words, graphics, and logos. Your use of our Website does not constitute any right or license for you to use our service marks or trademarks, without the prior written permission of RAF. Our Content, as found within our Website, is protected under US and foreign copyrights. The copying, redistribution, use or publication by you of any such Content, is permitted on a limited basis provided you provide visible credit to RAF. Your use of our Website does not grant you any ownership rights to our Content. The opinions expressed on our Website are not necessarily the unanimous opinions of RAF’s directors, officers, supporters and sponsors. The Content may be changed without notice and is not guaranteed to be complete, correct, timely, current or up-to-date. Similar to any printed materials, the Content may become out-of- date. You hereby acknowledge that nothing contained in our Website shall constitute financial, investment, legal and/or other professional advice and that no professional relationship of any kind is created between you and RAF or our Users. You hereby agree that you shall not make any financial, investment, legal and/or other decision based in whole or in part on anything contained in our Website. THE INCLUSION OF THIRD PARTY ADVERTISEMENTS DOES NOT CONSTITUTE AN ENDORSEMENT, GUARANTEE, WARRANTY, OR RECOMMENDATION BY RAF AND WE MAKE NO REPRESENTATIONS OR WARRANTIES ABOUT ANY PRODUCT OR SERVICE CONTAINED THEREIN. You agree that use of or purchase from such Merchants is AT YOUR SOLE RISK AND IS WITHOUT WARRANTIES OF ANY KIND BY US, EXPRESSED, IMPLIED OR OTHERWISE INCLUDING WARRANTIES OF TITLE, FITNESS FOR PURPOSE, MERCHANTABILITY OR NON- INFRINGEMENT. WE ARE NOT LIABLE UNDER ANY CIRCUMSTANCES FOR ANY DAMAGES ARISING FROM THE TRANSACTIONS BETWEEN YOU AND MERCHANTS OR FOR ANY INFORMATION APPEARING ON MERCHANT WEBSITES OR ANY OTHER WEBSITE LINKED TO OUR WEBSITE. RAF is not responsible or liable in any manner for any unauthorized Content posted on our Website by Users. RAF is not responsible for the conduct, whether online or offline, of any User of our Website. Our Website may be temporarily unavailable from time to time for maintenance or other reasons. RAF assumes no responsibility for any error, omission, interruption, deletion, defect, delay in operation or transmission, communications line failure, theft or destruction or unauthorized access to, or alteration of, User communications. Under no circumstances will RAF be responsible for any loss or damage, including any loss or damage or personal injury or death, resulting from anyone’s use of our Website, or any interactions between Users of our Website, whether online or offline. RAF reserves the right to change any and all Content, software and other items used or contained in our Website, at any time without notice. Reference to any products, services, processes or other information, by trade name, trademark, manufacturer, supplier or otherwise does not constitute or imply endorsement, sponsorship or recommendation thereof, or any affiliation therewith, by our Website, by third parties or by any of the equipment or programming associated with or utilized by our Website. How you can correct any inaccuracies in the information.Information Collection, Use, and SharingWe are the sole owners of the information collected on this site. We only have access to/collect information that you voluntarily give us via email or other direct contact from you. We will not sell or rent this information to anyone.We will use your information to respond to you, regarding the reason you contacted us. We will not share your information with any third party outside of our organization, other than as necessary to fulfill your request, e.g. to ship an order. We take precautions to protect your information. We do not collect sensitive credit card information, but use a third party service, PayPal, for payments.